We have been servicing Marin County for over 20 years. We have 20 years of working with court and jail staff and work tirelessly to build a Premiere reputation! If you have questions we have answers! 800-662-0056. 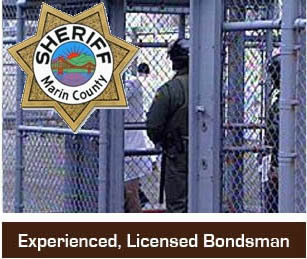 If you or someone you know has been arrested in Marin County, California, it’s time to learn about bail. After a person has been arrested, he or she will be taken to the Marin County jail for booking. In many cases, defendants will be released from jail while they await trial. Not all defendants will be released from jail. However, when they are, they will have to provide the full amount of money in order to pay bail. Bail is the amount of money that the courts will hold onto in exchange for a defendant’s release from jail. This amount of money will be refunded to the payee once the defendant completes his or her trial. 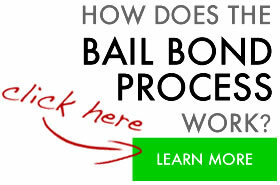 Not all defendants can afford to pay the full bail amount on their own. Therefore, they may enlist the help of a bail bonding agent. A bail bondsman provides the full bail amount to the defendant in exchange for a non-refundable down payment, which is usually about ten percent of the total cost of the bail. A good bail bonding agency will have payment plans available for defendants so that all defendants can afford bail, regardless of their financial situations. Some payment plans may include no-collateral down payments. Others will include payment by credit card options. When looking for a bail bondsman, make sure that the agency you select is licensed and insured so that you can depend on the reliability of your bondsman. Finding the right bail bondsman makes the bail process run smoothly as possible, which helps to take unnecessary stress out of the bail bonding equation.